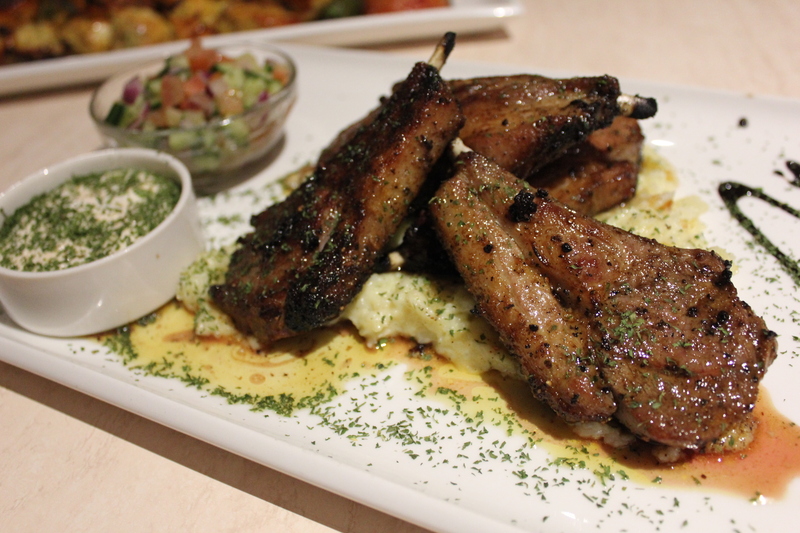 To share, we had the lamb cutlet (Shishlik) ($34.90) which is marinated in pure saffron, served with creamy garlic mash potato, sweet chilli yoghurt dip and shirazi salad. It was cooked perfectly with a pink-ish in the centre and was marinated well. Juicy and tender, it was a great complement to the sweet chilli yoghurt dip. The yoghurt dip at Recipe was one of the best that I had – it was creamy and flavoursome with a nice hint of tang and sweetness. We also shared a Family Feast ($94.90) between the three of us which comprised of two skewers of finely seasoned hand ground lamb (koobideh), one skewer of tender juicy pieces of chicken, marinated in lemon juice, capsicum and saffron (jujeh), one skewer of marinated thigh fillet and one skewer of tender beef striploin, tenderized in traditional way (barg), served with saffron rice, grilled tomato, barbeque jalapeno pepper and shirazi salad. The ground lamb, beef striploin and chicken pieces were marinated very well, both deliciously flavoursome and tender. A squeeze of lemon on the top gives the meat an additional moisture and acidity. The saffron rice (not pictured) complements the meats well and was soft, fragrant and fluffy. It was truly a feast! We were very full after our food and it was a very satisfying Persian feast. Unfortunately, I was quite full and did not have desserts but I will make sure in my next trip that I will leave some room for desserts! Overall, we had an enjoyable and good dining experience at Recipe, together with excellent service, lovely views of the Swan River and not forgetting, the delicious and flavourful Persian food. 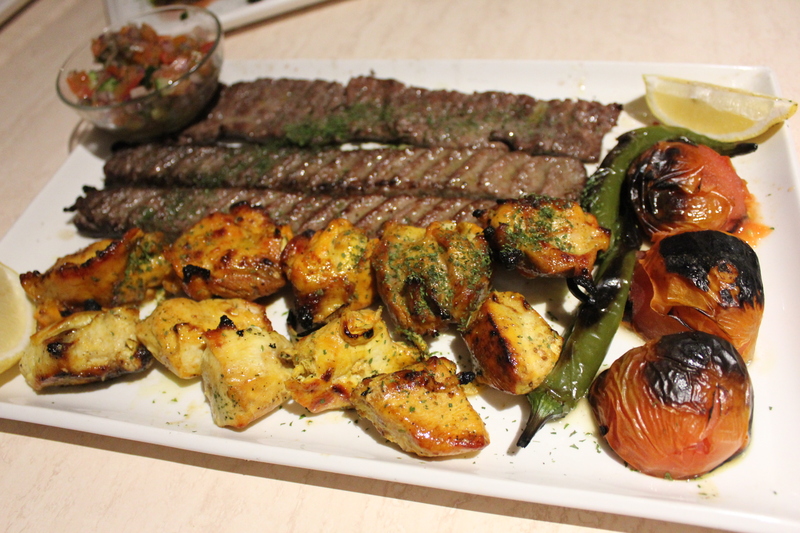 Recipe Restaurant is indeed one of the finest and best Persian food in Perth!